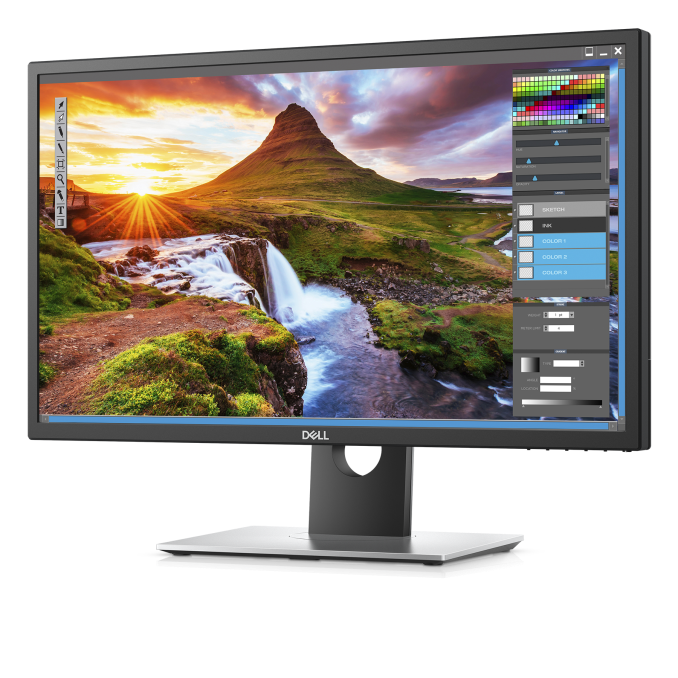 Right now, the National Association of Broadcasters conference is on, and Dell is using it to launch their latest UltraSharp display. The Dell UltraSharp UP2718Q is the company’s first display to support HDR10, in addition to its UHD 3840x2160 resolution, and it’s backed by the UHD Alliance Premium Certification. Dell has been in the UHD display game for some time, and the UltraSharp U2715Q and U2415Q have been solid displays for the company for some time, but the latest model takes Dell to a new level. 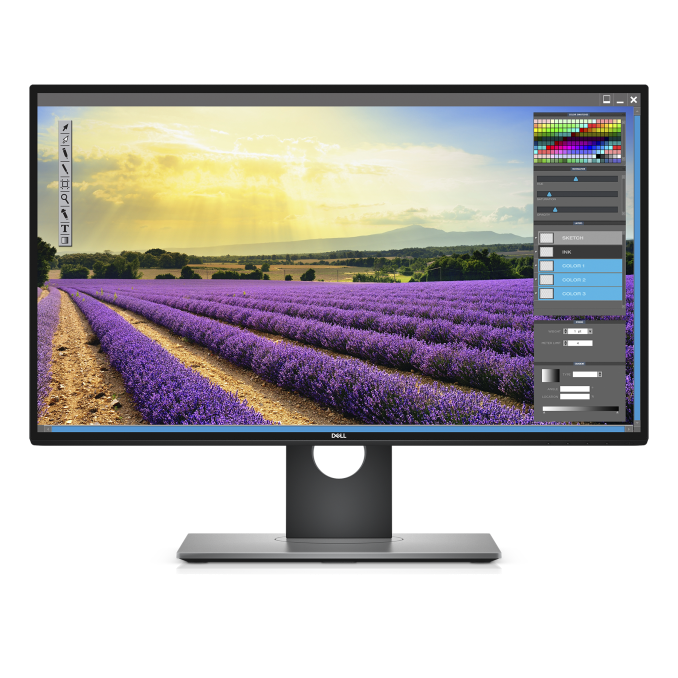 The UP2718Q offers a very wide color gamut, supporting up to 76.9% of the Rec 2020, and each display comes factory calibrated, and it has an adjustable internal lookup-table as well, so it should be able to be tuned accurately if necessary. HDR, or High Dynamic Range, requires much brighter backlighting than is typical in a desktop display, and the UP2718Q is stated to hit up to 1000 nits, which is likely helped by full-array backlighting. This display is targeted directly at professionals, and it has a price tag to go along with that, with availability scheduled for May 23 at $1999.99. Dell is also launching a couple of other UltraSharp displays, featuring InfinityEdge displays. The U2718Q is a 27-inch UHD model, and the U2515D is a 25-inch model that’s a lower resolution that’s not specified. These are targeted more at the consumer, and won’t support HDR or the wide gamuts. Dell didn’t announce a lot of details on these, but expect sRGB coverage only. The lower feature set drives the price down quite a bit though, with the U2718Q set to be available in July for $699.99, and the U2518D in the same time frame for $499.99. 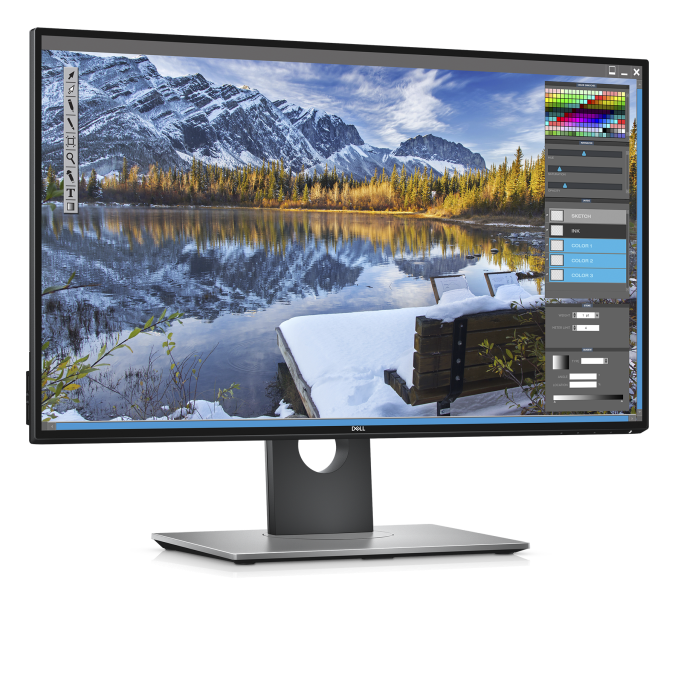 Dell certainly isn’t alone in the HDR Professional display market, with ASUS and LG both announcing UHD HRD displays recently as well, but Dell has a substantial presence in the enterprise which will likely help them here.